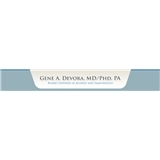 Gene A. Devora, MD/PhD, PA (Plano) - Book Appointment Online! Dr. Devora is Board Certified in Allergy and Immunology and specializes in the treatment of both children and adults. His staff is fantastic and he will bend over backward to help you.